Southern Africa has one of the longest records of human activity anywhere in the world. The Swellendam region in the Overberg is rich in historic sites dating from over 1 million years ago to more recent colonial settlements. The later Stone Age can be linked to the Khoi Khoi who, in the Swellendam region was known as the Hessequa. This name translated means “people of the trees”. The Hessequa Khoi Khoi entered the Overberg region some 2,000 years ago. They were a clan of herders; farming fat tailed sheep and long horn cattle. The Hessequa’s moved freely across the western area of the Overberg and lived on the banks of the Breede River where they grazed their large herds. Every Khoi Khoi settlement was controlled by a captain and at times up to 17 captains would set up camp with their nomadic dwellings at the settlement of the most powerful Hessequa chief. European settlers landed at the Cape of Good Hope in 1652 and the first contact with the Hessequa Khoi Khoi was in 1660. 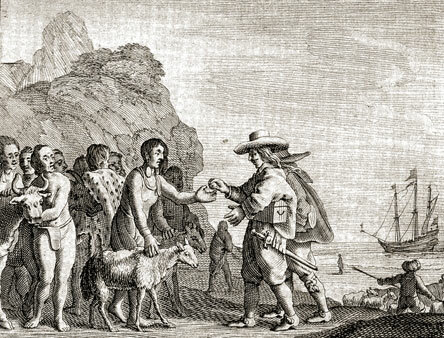 Lourens Visser, a representative of the Dutch East India Company established a trading post in the area in 1667. To protect the company interests, Drostdy was built in 1745 as the official headquarters and residence for the magistrate. The town of Swellendam developed in 1747 in honour of the Cape governor Hendrik Swellengrebel. Land was cleared of fynbos as extensive wheat and sheep farming ensued. The arrival of settlers in the Overberg was catastrophic for the indigenous inhabitants. Smallpox, land competition, alcohol and tobacco decimated the clans of the Hessequa’s living in this region. 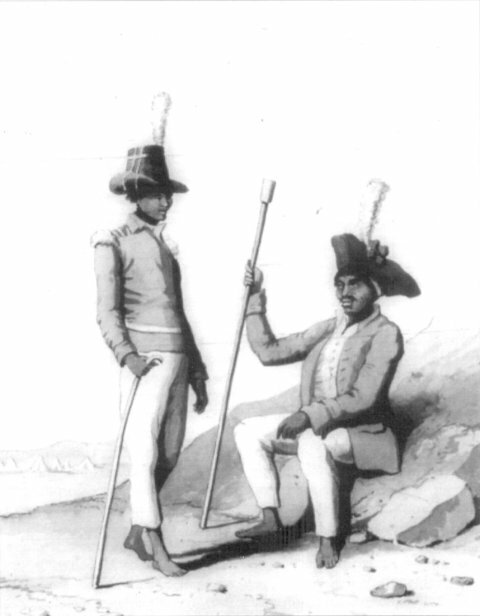 Two Hessequa captains and their followers lived in the area where the Bontebok National Park is now situated. The Park’s rest camp is named after the first of them, a remarkable female captain by the name of Lang Elsie. Between 1734 and 1800 she lived with her followers at the southern part of the Park, grazing their stock all the way to the Buffeljags River. Visitors to the park can still see the open werf area where Lang Elsie’s kraal of woven reed huts was situated. Next to this open space are the ruins of a small stone house where Captain Lang Elsie lived, according to the author of Geskiedkundige Swellendam (Tomlinson, 1934). Nouga Saree, a contemporary of Lang Elsie, lived with his followers in the western part of the Park, at what came to be called the Ou Tuin. Here too an open werf area is evidence of their settlement. Their sheep and cattle grazed in the area that is now the old Resies Baan (Race Track), so named as this area was used by the Swellendam Turf Club for their race meetings. It is said that these races were so popular that on one occasion the Kadie, a steam ship, was chartered to transport race goers from Cape Town to Swellendam. Jockeys were drawn from the now servile Hessequa and so dangerous was the track, that many would be killed. According to authors and residents of Swellendam, the graves of Nouga Saree and some of his people were found at the foot of the small ridge above Ou Tuin when the Bontebok National Park was established. People recalled that the graves were covered with ‘blue mountain stones’. Although there are several references to the Khoi graves in the Ou Tuin, these graves are not to be found today. The park is committed to preserving these cultural heritage sites and plans are in place for further research and interpretation of Lang Elsie’s Kraal and the gravesite of Nouga Saree.